Selling your “ugly” New Orleans house to a cash buyer is much quicker than going through a traditional real estate agent. Do you have an ugly house in New Orleans? You can still sell it. What is an “ugly house?” And is your house one of them? Beauty is in the eye of the beholder. But, no matter how much you might love the place, when the time comes to sell an ugly house, getting a buyer might be difficult. Some other aspects are more subjective and intuitive, like being in an undesirable or inconvenient neighborhood or a high-crime area. Your house might have a history as a crime scene or a reputation for being haunted. 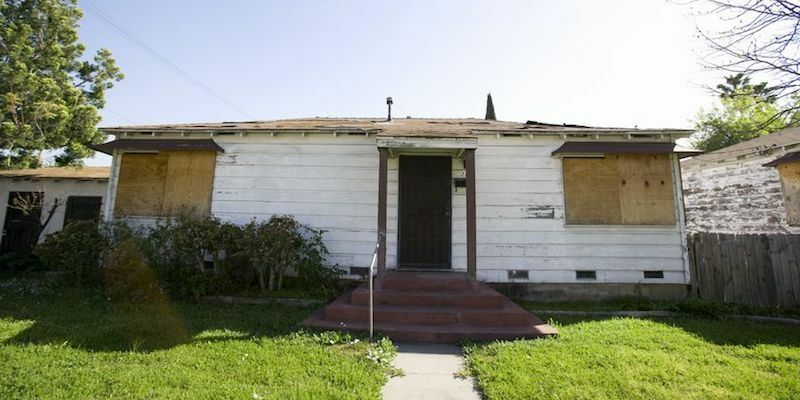 It is possible to sell an ugly house. You have options. If your goal is to sell as quickly as possible, without busting your budget on major repairs and renovations, what can you do? As long as your house is structurally sound it’s probably sellable. The key is taking an honest look at the issues and lowering the price accordingly. If your house needs repairs that you can’t afford or are unwilling to make, calculate their cost and subtract that from the value of your home. Your best option might be to sell your house for cash to Big Easy Buyers. Traditional buyers might not be able to secure a bank loan on your house, or balk at the amount of work it will require. Going through a real estate agency will also take time and money out of your pocket for commissions and closing costs. Selling your property to a company like Big Easy Buyers is fast and consists of just a few easy steps. The whole process can be completed under 30 days — from a scheduled walkthrough to a cash offer on the spot to closing. If you need to sell your “ugly” house quickly, contact us online or call (504) 513-7878.